The Florida Gators' quarterback controversy may have reached an unfortunate settlement as redshirt sophomore Kyle Trask reportedly suffered a serious knee injury at practice on Wednesday. According to 247Sports' Thomas Goldkamp, Trask had to be carted off the field on Wednesday after suffering a non-contact leg injury. The full extent of the injury is not yet known, but Graham Hall of the Gainesville News reported that it could be of the season-ending variety. Trask is a former 3-star recruit, according to 247Sports. He redshirted his first year on his campus and underwent multiple operations last year. He required knee surgery in the spring of 2017 to repair a torn meniscus and later went under the knife for a foot injury suffered days before the 2017 season opener, missing the entire campaign as a result. Redshirt sophomore Feleipe Franks has been the Gators' starting quarterback this season, completing 55.6 percent of his passes on the season for 1,595 yards, 16 touchdowns and six interceptions; he also has 173 rushing yards and three scores on the ground. 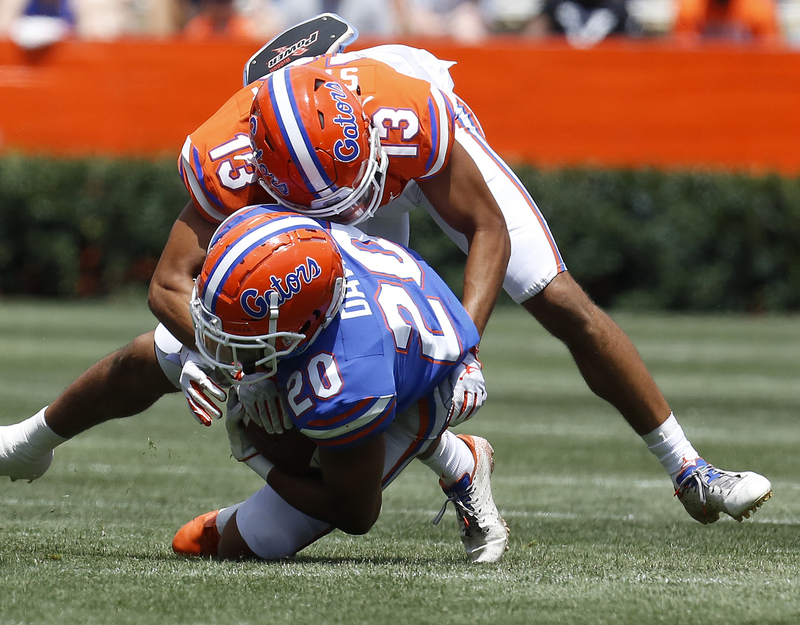 However, as Florida was on its way to its second consecutive loss last week, Mullen opted to bench Franks in favor of Trask in the middle of a 38-17 defeat to Missouri. Over the last two games, Franks completed just 22 of 43 passes for 189 yards, one touchdown and one interception. Trask went 10-of-18 for 126 yards, one touchdown and zero interceptions against the Tigers in relief duty. Earlier on Wednesday, Mullen declined to provide any details as to who would be under center against South Carolina on Saturday. "I'm not going to share what our strategy is," Mullen told reporters, per the Orlando Sentinel's Edgar Thompson. Well, that decision may have been made for him after Trask's injury. Florida's hopes of winning the SEC East came to an end last week as Georgia wrapped up the division, but the Gators (6-3) are still fighting for better bowl positioning. They have three games remaining on their regular-season schedule, South Carolina (home), Idaho (home) and Florida State (road).